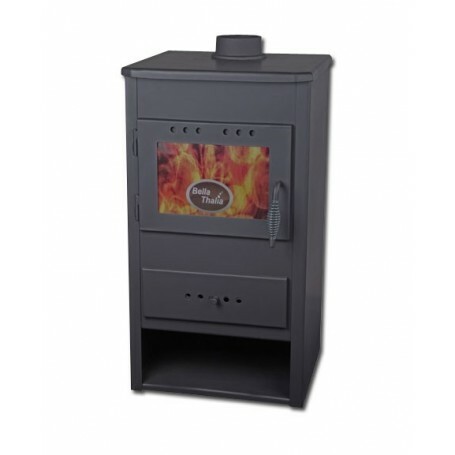 Thalia Nella wood burning stove is constructed with firebox doors and top plate made of cast iron. Body is made of steel. Fire box is made of chamotte combined with cast iron. Fireproof glas is first quality glass.